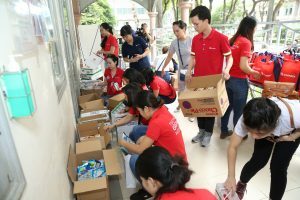 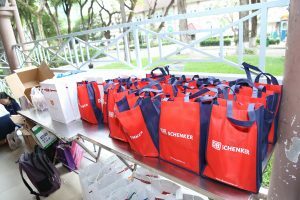 On the morning of January 12, DB Schenker staff and The VinaCapital Foundation successfully implemented the Community Day event for the Cardiology Department of Children’s Hospital 2. 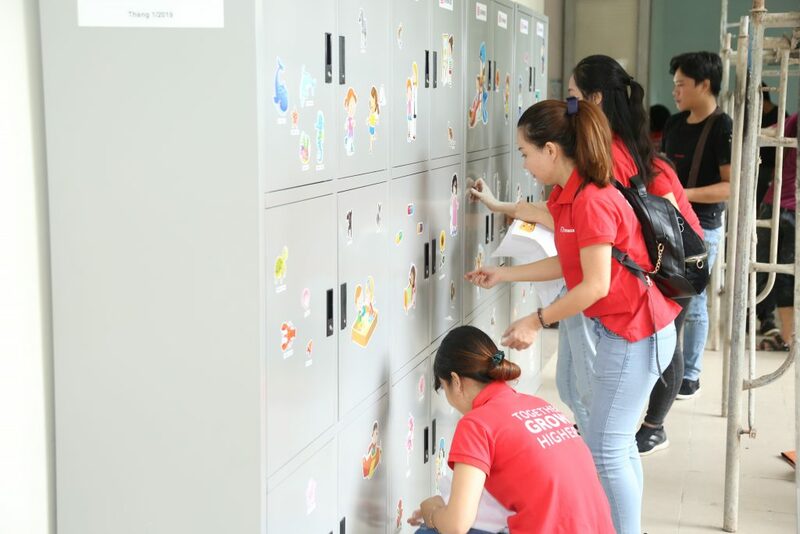 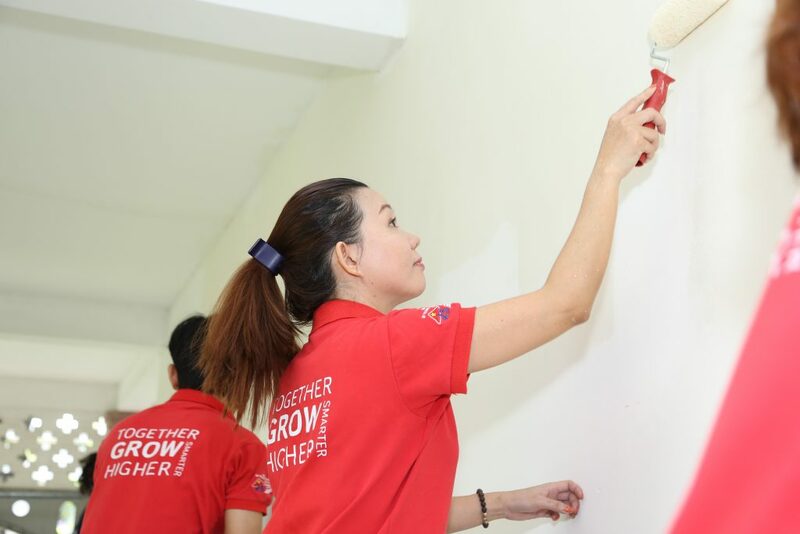 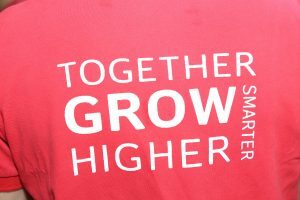 More than 15 employees of DB Schenker put on their red shirts to repaint the corridor wall at the Cardiology Department of Children’s Hospital 2. 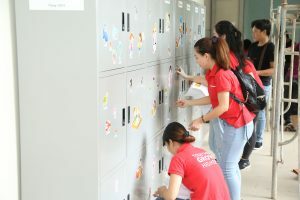 Additionally, being aware of the lack of lockers for inpatients’ relatives as well as the lack of entertainment facilities for the children during their long-term treatment such as books, stories and toys, DB Schenker decided to hand over awarded 4 sets of new lockers with 24 clean and convenient cabinets, while filling more than 10 cabinets with colorful books, stories and toys for poor children and parents to play and read during their medical treatment. 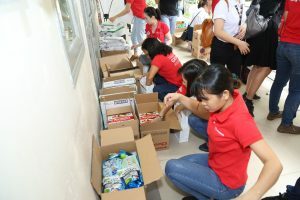 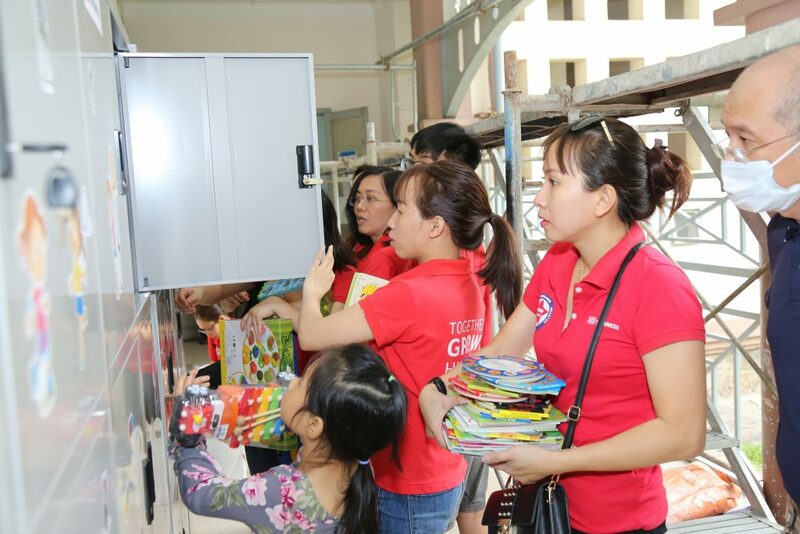 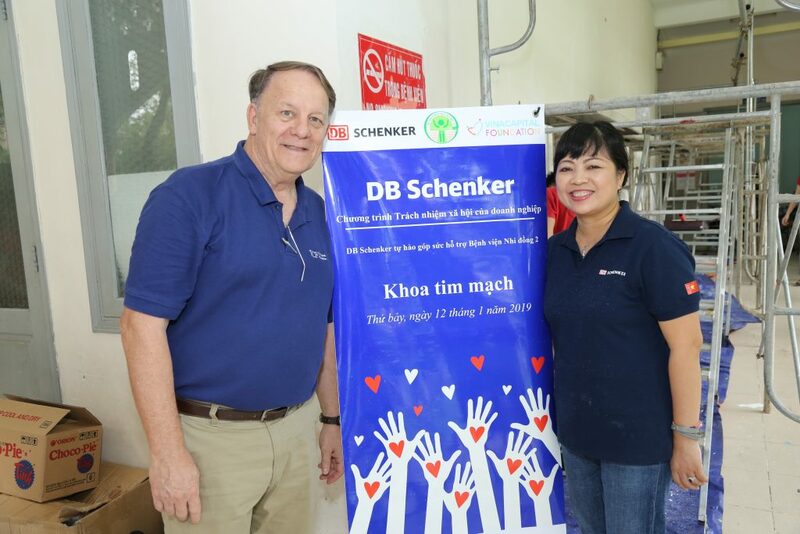 Besides these two activities, DB Schenker also gave 100 small gifts to all inpatients at the department. 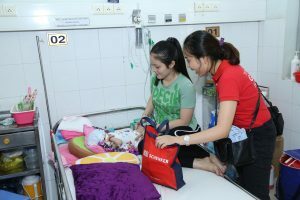 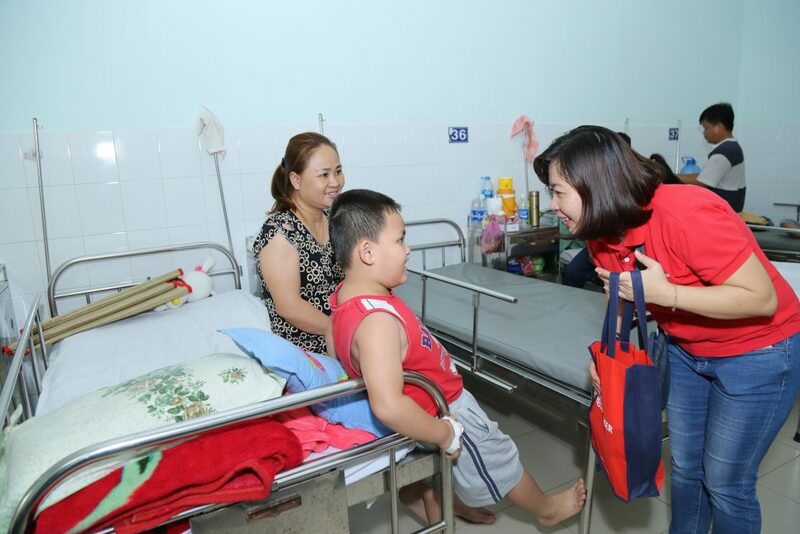 Coming to each side of the bed in the hospital, holding hands, chatting and loving each child, DB Schenker staff together presented not only gifts but also love, compassion, sympathy to all the children and their family members. 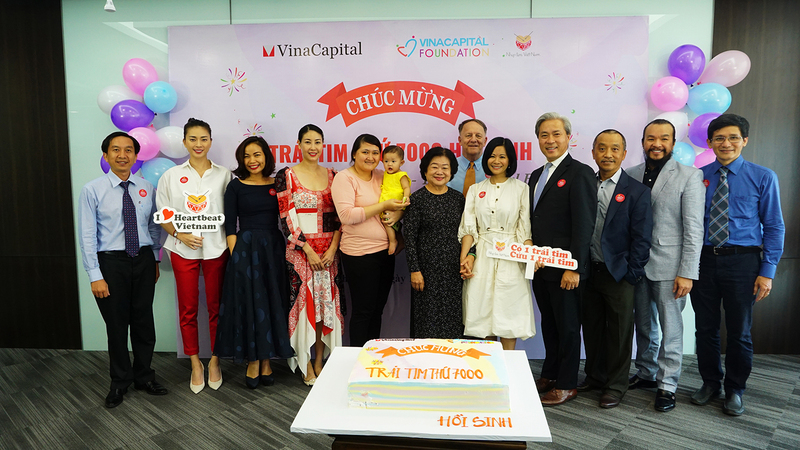 Mr. Rad Kivette – CEO, Executive Director of The VinaCapital Foundation and Ms. 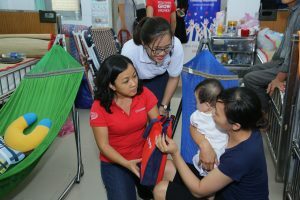 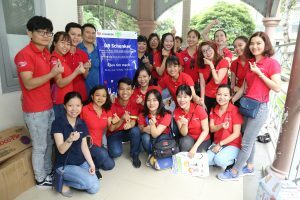 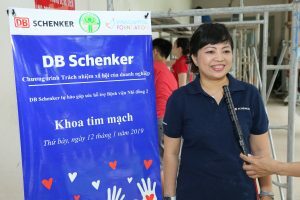 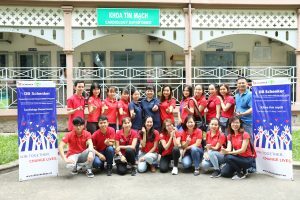 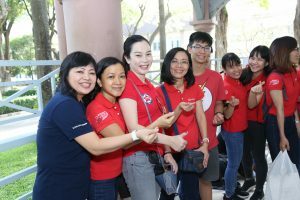 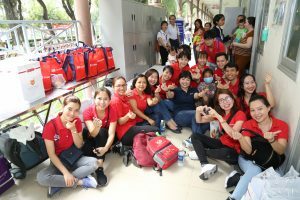 Le Thi My Hanh, Chief Human Resources Officer of DB Schenker Vietnam happily participated in the meaningful event. 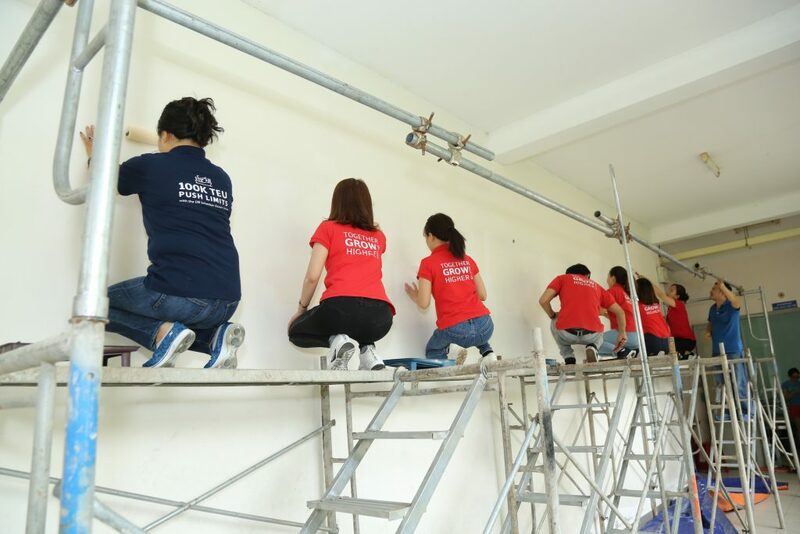 Ms. Hanh could not hide her happiness when she painted the wall and immersed herself in the community day. 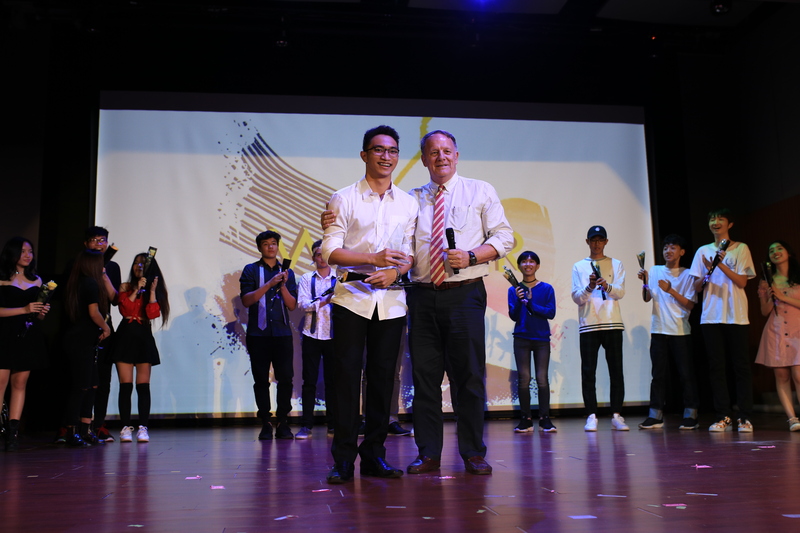 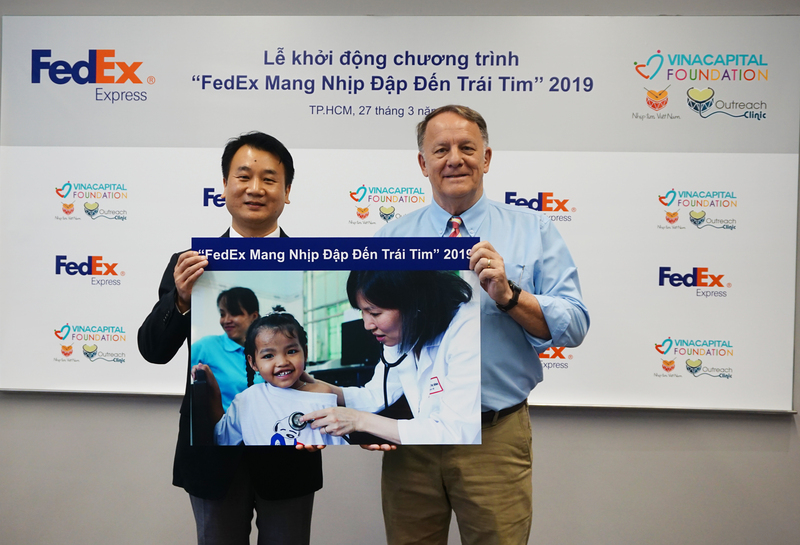 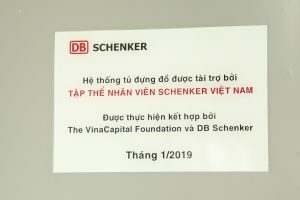 Also on January 12, VinaCapital Foundation’s representative also transferred a projector sponsored by DB Schenker to Cao Bang Ethnic Minority Boarding School. 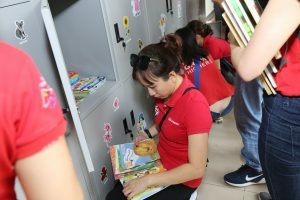 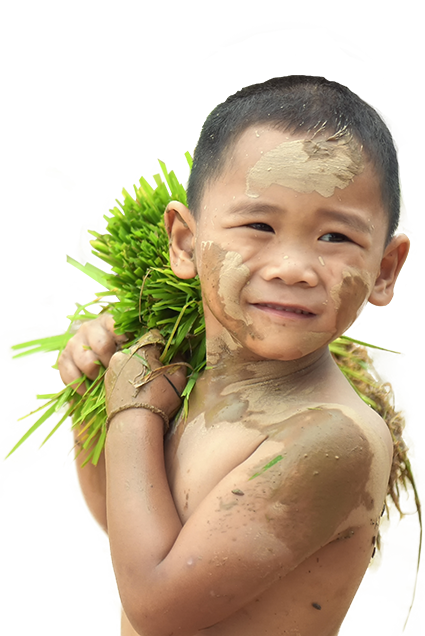 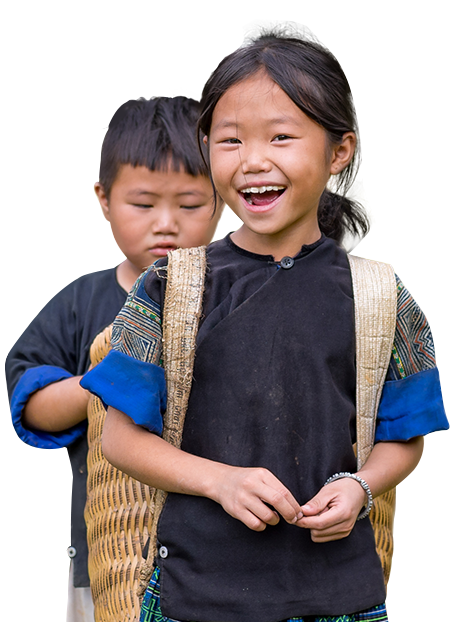 This will be a very practical gift for teaching and learning activities for students in this mountainous area, in which education still faces many difficulties. 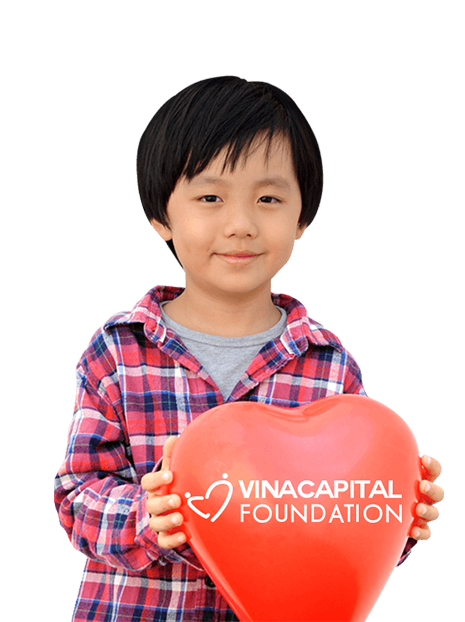 VinaCapital Foundation hopes to continue to be associated with DB Schenker and the company’s dynamic young staff in the near future. 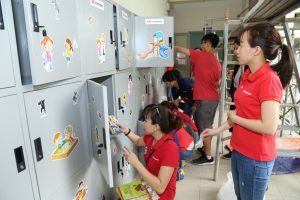 Hopefully, the company will keep up its love journey and bring their kindness to more and more people.